Start off your visit on the 29th (Tue): let your taste buds guide you at a local gastronomic tour, take in the architecture and atmosphere at St Mary Star of the Sea Catholic Cathedral, then identify plant and animal life at Territory Wildlife Park, and finally see the world from above with a helicopter tour. Here are some ideas for day two: get interesting insight from Tours. To see more things to do, where to stay, ratings, and tourist information, refer to the Darwin online tour itinerary planner . Dresden, Germany to Darwin is an approximately 27-hour flight. You'll lose 8 hours traveling from Dresden to Darwin due to the time zone difference. Traveling from Dresden in October, things will get much warmer in Darwin: highs are around 39°C and lows about 28°C. Wrap up your sightseeing on the 30th (Wed) early enough to drive to Jabiru (Kakadu National Park). Jabiru is a town in the Northern Territory of Australia. 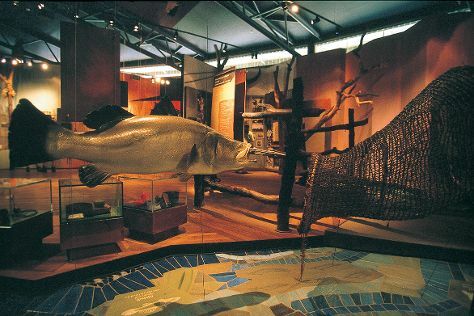 Start off your visit on the 31st (Thu): make a trip to Bardedjilidji Walk, then look for all kinds of wild species at Anbangbang Billabong, and then examine the collection at Warradjan Cultural Centre. Here are some ideas for day two: identify plant and animal life at Mamukala Billabong, then take in the dramatic natural features at Nanguluwur Art Site, and then explore the striking landscape at Maguk Gorge. To see ratings, other places to visit, traveler tips, and other tourist information, you can read our Jabiru (Kakadu National Park) trip planner. Traveling by car from Darwin to Jabiru (Kakadu National Park) takes 2.5 hours. Alternatively, you can take a bus. Wrap up your sightseeing on the 1st (Fri) to allow time to travel to Mataranka. Mataranka is a community of about 400, in the Top End region of Australia's Northern Territory. Kick off your visit on the 2nd (Sat): stroll the grounds of Elsey Cemetery National Reserve, identify plant and animal life at Elsey National Park, then identify plant and animal life at Botanic Walk, and finally witness a stunning natural landmark at Bitter Springs. To see reviews, traveler tips, and other tourist information, use the Mataranka trip itinerary planning site . You can drive from Jabiru (Kakadu National Park) to Mataranka in 5 hours. Wrap up your sightseeing on the 2nd (Sat) to allow time to travel to Katherine. Katherine is a town in Northern Territory, Australia. Start off your visit on the 3rd (Sun): take in the dramatic natural features at Katherine Gorge, then take an in-depth tour of Katherine School of the Air Tourist Room, and then take in the dramatic scenery at Edith Falls. 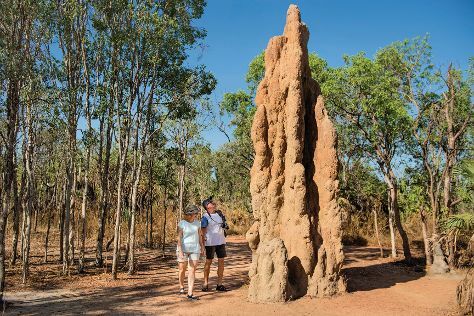 On the next day, get interesting insight from Tours, then witness a stunning natural landmark at Katherine Hot Springs, then look for all kinds of wild species at Low Level Nature Reserve, and finally experience rural life at Katherine Outback Experience. For photos, ratings, maps, and more tourist information, refer to the Katherine trip itinerary planner. Getting from Mataranka to Katherine by car takes about 1.5 hours. In November, daytime highs in Katherine are 44°C, while nighttime lows are 29°C. Wrap up your sightseeing on the 4th (Mon) early enough to travel to Litchfield National Park. Start off your visit on the 5th (Tue): admire the sheer force of Wangi Falls, explore the striking landscape at Magnetic Termite Mounds, and then admire the sheer force of Florence Falls. To find maps, ratings, and tourist information, go to the Litchfield National Park trip itinerary maker site . Use the Route module to find suitable travel options from Katherine to Litchfield National Park. When traveling from Katherine in November, plan for little chillier days in Litchfield National Park, with highs around 39°C, while nights are about the same with lows around 29°C. Finish your sightseeing early on the 5th (Tue) to allow enough time to travel to Alice Springs. Start off your visit on the 6th (Wed): examine the collection at Road Transport Hall of Fame, take an in-depth tour of National Pioneer Women's Hall of Fame & Old Alice Springs Gaol, then view the masterpieces at Yubu Napa Art Gallery, then examine the collection at Hartley Street School Museum, and finally admire the masterpieces at Mbantua Fine Art Gallery. Get ready for a full day of sightseeing on the 7th (Thu): explore the world behind art at Araluen Cultural Precinct, view the masterpieces at Tjanpi Desert Weavers, then identify plant and animal life at The Kangaroo Sanctuary, then take in the exciting artwork at Talapi, and finally take your sightseeing to a higher altitude at Mount Gillen. To find ratings, where to stay, maps, and other tourist information, read our Alice Springs vacation site . Explore your travel options from Litchfield National Park to Alice Springs with the Route module. Plan for a bit cooler nights when traveling from Litchfield National Park in November since evenings lows in Alice Springs dip to 21°C. Wrap up your sightseeing on the 7th (Thu) to allow time to travel to Uluru-Kata Tjuta National Park. Kick off your visit on the 8th (Fri): get outside with Walpa Gorge and then admire the verdant scenery at Valley of the Winds. To see maps, ratings, more things to do, and tourist information, you can read our Uluru-Kata Tjuta National Park tour itinerary planning app . You can do a combination of taxi and flight from Alice Springs to Uluru-Kata Tjuta National Park in 2 hours. Alternatively, you can drive. 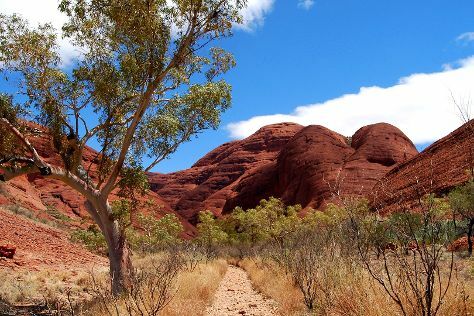 In November in Uluru-Kata Tjuta National Park, expect temperatures between 41°C during the day and 22°C at night. Cap off your sightseeing on the 8th (Fri) early enough to travel to Kings Canyon. Start off your visit on the 9th (Sat): make a trip to Kings Creek Station and then take an unforgettable tour with a helicopter tour. To find reviews, photos, where to stay, and other tourist information, you can read our Kings Canyon holiday builder . You can drive from Uluru-Kata Tjuta National Park to Kings Canyon in 4 hours. Wrap up your sightseeing on the 9th (Sat) early enough to travel to Coober Pedy. Start off your visit on the 10th (Sun): admire nature's extreme beauty at Breakaways Conservation Park, examine the collection at Umoona Opal Mine & Museum, and then examine the collection at Old Timers Mine. Get ready for a full day of sightseeing on the next day: identify plant and animal life at Josephine's Gallery & Kangaroo Orphanage, pause for some serene contemplation at Catacomb Church, then admire the landmark architecture of Faye's Underground Home, and finally take in the architecture and atmosphere at Serbian Orthodox Church. To see maps, traveler tips, reviews, and other tourist information, read Coober Pedy planner . Traveling by car from Kings Canyon to Coober Pedy takes 8.5 hours. In November, plan for daily highs up to 38°C, and evening lows to 20°C. Wrap up your sightseeing on the 11th (Mon) early enough to travel to Port Augusta. On the 12th (Tue), admire the natural beauty at Homestead Gardens, view the masterpieces at Port Augusta Cultural Centre - Yarta Purtli, then take some stellar pictures from Matthew Flinders Red Cliff Lookout, then take in nature's colorful creations at Australian Arid Lands Botanic Garden, and finally get great views at Water Tower Lookout. To see other places to visit, where to stay, reviews, and other tourist information, you can read our Port Augusta trip itinerary website . The Route module can help you plan travel from Coober Pedy to Port Augusta. In November, Port Augusta is little chillier than Coober Pedy - with highs of 30°C and lows of 16°C. 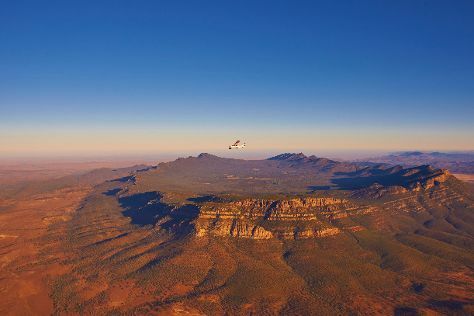 Finish up your sightseeing early on the 12th (Tue) so you can travel to Flinders Ranges National Park. On the 13th (Wed), stroll through Brachina Gorge Geological Trail and then explore the striking landscape at Bunyeroo Gorge. Keep things going the next day: explore the different monuments and memorials at Kanyaka Ruins & Cemetery, then explore and take pictures at Heritage Blinman Mine, and then admire all the interesting features of Wilpena Pound. To see photos, more things to do, where to stay, and more tourist information, read Flinders Ranges National Park holiday planner. Drive from Port Augusta to Flinders Ranges National Park in 3 hours. Traveling from Port Augusta in November, expect nights in Flinders Ranges National Park to be about the same, around 19°C, while days are somewhat warmer, around 37°C. Finish your sightseeing early on the 14th (Thu) so you can travel to Clare. The town of Clare is located in South Australia in the Mid North region, 136 km north of Adelaide. Kick off your visit on the 15th (Fri): don't miss a visit to St Aloysius Church, do a tasting at Crabtree Watervale Wines, hike along Riesling Trail, then learn about winemaking at Sevenhill Cellars, and finally do a tasting at Greg Cooley Wines. Keep things going the next day: contemplate the long history of Bungaree Station, learn about winemaking at Paulett Wines, then steep yourself in history at Martindale Hall Heritage Museum, then take in the exciting artwork at Vine Art Studio, Gallery & Therapeutic Massage, and finally do a tasting at Kilikanoon Winery. To see where to stay, ratings, photos, and tourist information, refer to the Clare trip app . You can drive from Flinders Ranges National Park to Clare in 4 hours. Wrap up your sightseeing on the 16th (Sat) to allow time to travel to McLaren Vale. 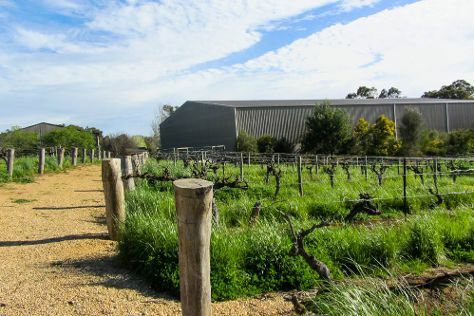 McLaren Vale is a small rural town in South Australia famous for producing world class red wine. Start off your visit on the 17th (Sun): do a tasting at Oliver’s Taranga Vineyards Cellar Door and Winery, do a tasting at Old Oval Estate, then learn about winemaking at Wirra Wirra Vineyards, and finally enjoy the sand and surf at Aldinga Beach. 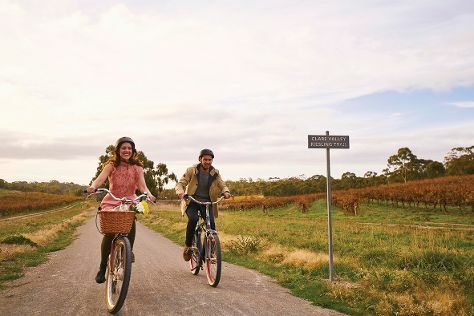 On your second day here, tour the pleasant surroundings at Horseshoe Bay, view the masterpieces at Mt Jagged Wines, then learn about winemaking at Fox Creek Wines, and finally learn about winemaking at McLaren Vale III Associates. To see traveler tips and tourist information, read McLaren Vale road trip website . Drive from Clare to McLaren Vale in 2.5 hours. In November, plan for daily highs up to 28°C, and evening lows to 15°C. Finish up your sightseeing early on the 18th (Mon) so you can travel to Kangaroo Island. Visiting Stokes Beach and Admirals Arch will get you outdoors. Explore hidden gems such as Kangaroo Island Spirits and Kelly Hill Caves. 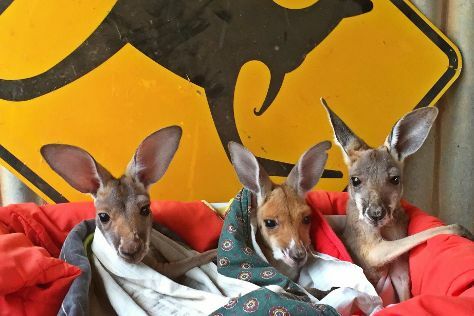 The adventure continues: identify plant and animal life at Hanson Bay Wildlife Sanctuary, meet the residents at Kangaroo Island Wildlife Park, get outside with Remarkable Rocks, and relax in the rural setting at Clifford's Honey Farm. For ratings, maps, and other tourist information, read Kangaroo Island online trip itinerary maker . Traveling by combination of car and ferry from McLaren Vale to Kangaroo Island takes 3 hours. Alternatively, you can do a combination of taxi, ferry, and bus. Finish your sightseeing early on the 21st (Thu) to allow enough time to travel to Adelaide. Kick off your visit on the 22nd (Fri): do a tasting at Langmeil Winery, do a tasting at Chateau Tanunda, then do a tasting at Rockford Winery, and finally admire the striking features of General Post Office. Get ready for a full day of sightseeing on the next day: take in the architecture and atmosphere at St Peter's Cathedral, then enjoy the sand and surf at Henley Beach, and then kick back and relax at Glenelg Beach. For photos, reviews, other places to visit, and tourist information, use the Adelaide online trip itinerary planner . Traveling by combination of taxi and flight from Kangaroo Island to Adelaide takes 2.5 hours. Alternatively, you can do a combination of car and ferry; or do a combination of taxi, ferry, and bus. November in Adelaide sees daily highs of 28°C and lows of 15°C at night. Wrap up your sightseeing by early afternoon on the 24th (Sun) to allow time for travel back home.